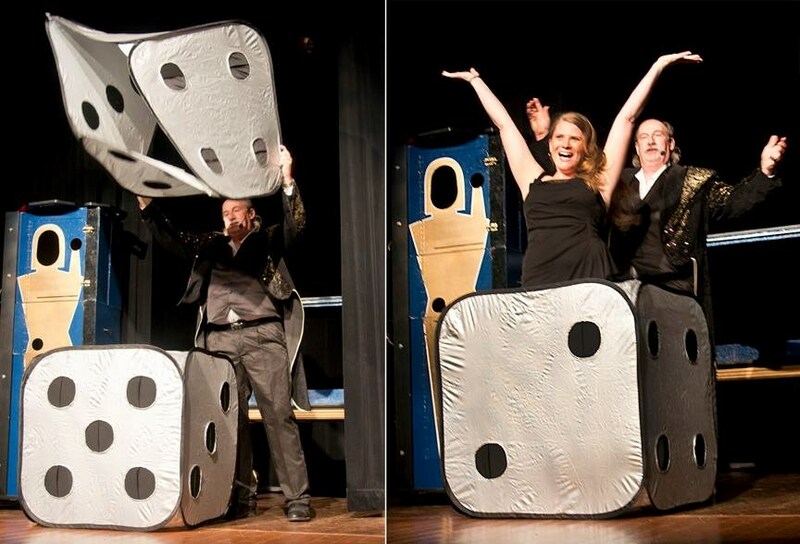 A completely family friendly comedy magic and illusion show. I perform everything from Birthday parties on up to a complete evening show that includes several assistants, a state of the art sound system, complete with a sound man, music,backdrop curtains and lighting. We also specialize in fund raising events. All of our shows feature lots of audience participation. All of our Birthday shows include gifts magically made for the person of honor. At our larger shows we are capable of making a person of your choice magically appear or even float in mid air. For those folks that have a stronger heart, we can also saw anyone of your choice in half. All of our shows feature lots of comedy sprinkled throughout the show. 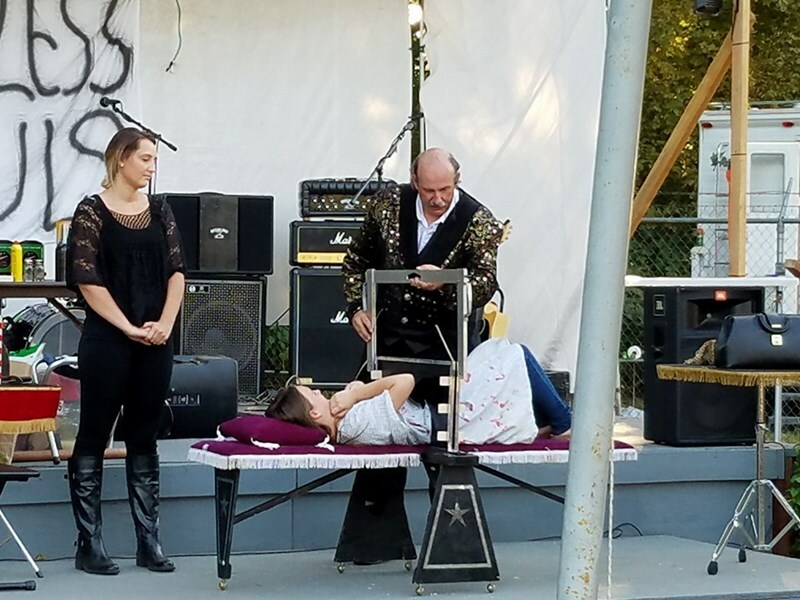 Dr. Delusions provided a fast-paced comedy magic show. He performed at our school assembly for 365 K-5 students. The kids were entertained by the show as were the adults. The sound system was a little weak, so at times it was hard to hear because the kids were enjoying it so much that they found it hard to remain quiet, but it was an entertaining show. I would definitely recommend Dr. Delusions for birthday parties, or groups of children, but if there are more than 100 people I would suggest a sound system. Dr. Delusions illusions was honestly the best! He interacted with all the kids! He made the birthday boys extra special on their day! He was soo funny! All the kids and the parents loved him! And I will be asking him to come back next year!!! Such an awesome performance!!! Hey Natasha, Thank you so much for allow me the honor of performing for you 2 sons combination Birthday party. I had a blast! I hope they both enjoyed the Hot Wheels! Thanks again, Bob. Bob was great for my 10 year olds birthday party! The kids were entertained and had a great time as well as the adults. Thank you so much Sabrina, I've performed hundreds of Birthday parties through the years and I've got to say yours was without a doubt, the best put together party I've seen. The kids had a blast, one game or contest after another. Thank you so much for the honor of being part of your daughters Birthday, Bob. Everyone adults and children enjoyed the show . He made my son feel like a star as well as the kids who participated. Thank you so very much Ana. It was an Honor to be part of Mateo's Communion. All the best to everyone. Bob. They were great for the audience that we had. Boys and girls ages 1st grade through 5th. They were funny, did a great job of involving the audience, and were wonderful to work with. I would recommend them for any audience made up of kids or families. Our residents, families and guests had a great time. Please note Dr. Delusions Illusions Comedy Magic Show will also travel to Springfield, Alvadore, Junction City, Thurston, Veneta, Cheshire, Harrisburg, Elmira, Greenleaf, Pleasant Hill, Creswell, Marcola, Noti, Saginaw, Lorane, Halsey, Cottage Grove, Lowell, Monroe, Fall Creek, Brownsville, Blachly, Crawfordsville, Dexter, Shedd, Walterville, Walton, Curtin, Dorena, Sweet Home.